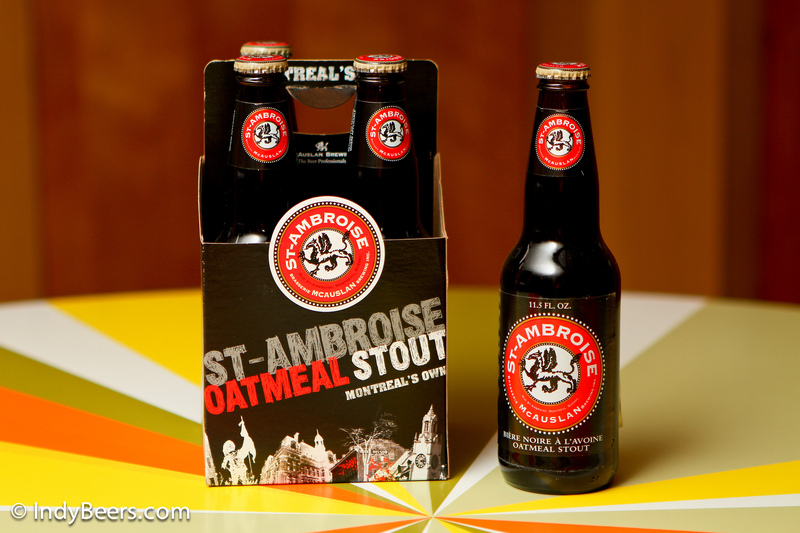 Today Chris and I are reviewing St-Ambroise Oatmeal Stout. We’re t his house today, just to change things up a little. As a side note, the ride up I95 during rush hour wasn’t too bad. He says it can be much worse. We’re doing this review today after reading a recipe for a Bloody Mary using St-Ambroise Oatmeal Stout. This will be a 2 part review, with the first part focusing on just the beer, and the second part will be a review of Draft Magazine’s recipe for a Bloody Mary. Based out of Montreal, Québec McAuslan Brewing began operations in January of 1989. Scott: A nice nutty brown with a thickly bubbled head. Chris: Poured nicely with a small moca head. Chris: Awesomeness. Roasted coffee with hints of chocolate. Scott: Very light and creamy feeling with a good medium carbonation. Chris: Medium thick body and medium carbonation. I was somewhat surprised as this is not as creamy as I expected. Excellent, non the less. Scott: A few of these will go down very easily. I’m not generally a fan of oatmeal stouts, but this one is spot-on delicious. Roasted malt, maybe some caramelized sugar, and a nice finish of bitter chocolate. Chris: Yummy, oatmeal deliciousness. It is has smooth roasted sweet flavors from start to finish with hints of chocolate throughout. Scott: A little bitterness with a nice espresso flavor. Unquestionably pleasant. Chris: The coffee flavors last, but are not too bitter. Chris: This is an excellent, 5 star, oatmeal stout! Today Chris, Mathew, and I are reviewing Anchor Steam Beer. 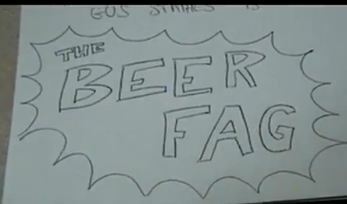 I was recently reading the book Home beermaking: The complete beginner’s guidebook and there was a section in the book talking about “steam beer”. Steam beer, the only native American beer style, was born in late 19th century San Francisco, when refrigeration and ice were unavailable to Eastern immigrants accustomed to lager brewing. Desiring local beer, they brewed with lager yeast at (unrefrigerated) temperatures, producing a robust, highly hopped (partly for preservation reasons) brew more like an ale than a lager in flavor, yet with a unique sharp character imparted by the warm fermenting lager yeast. Unlike most draft beers at the time, steam beer was carbonated (by krausening), and the hissing noise issuing from a freshly-tapped keg probably gave rise to the name steam. 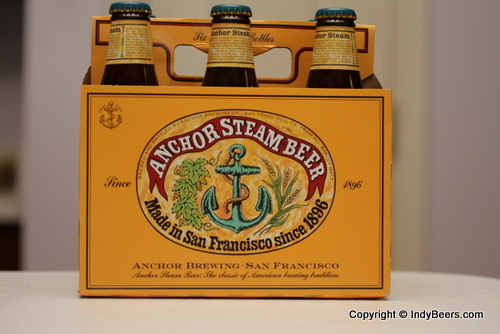 Today, steam is a trademark of Anchor Brewing Company in San Francisco. …Anchor alone has used the quaint name “steam” for its unique beer. With all the fanfare, we figured we give the beer a try. Based out of San Francisco, CA they have roots in the area that go back to 1849. I was going to post more information about them, but I really hate their website. The “Our Craft” and “Our History” sections are bad. 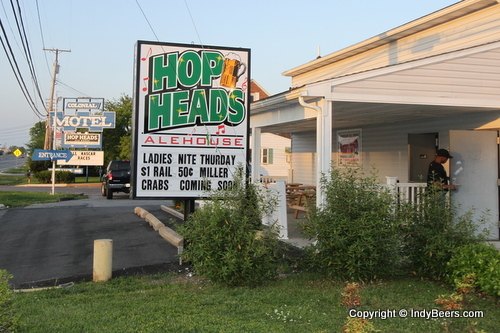 The guys over at Aleheads should consider using it in their “worst brewery websites” series. Scott: There was a slight cloudiness to the beer. It had a good golden/amber color. I must have poured mine wrong (or right depending on your personal thoughts) because I got almost no head. My second beer I poured with a heavy hand to get a nice thick, creamy head. Chris: The body was a cloudy shade of amber. Pouring this beer differently changed the appearance. If you slowly poured it into a glass it had almost no head. If you didn’t baby it, the head was a fluffy off white that lasted throughout the entire glass. Lots of bubbles floated up from the bottom as carbonation was plentiful. Mathew: There was a small head but seemed to vary a lot with everyone’s pour. It was also very bubbly and not creamy like the description says. The color was a light Amber with a slight cloudiness to it. There seemed to be a large amount of carbonation as there was a continued bubble stream from the bottom of the glass, like a soda, the whole time I was drinking it. Scott: Not much on the nose. Maybe some hints of malt and grass. Chris: The aroma was very mild. Hints of grain and sweetness were noticable but faint. Mathew: There was not a lot of aroma and it was hard to distinguish. Scott: Very crisp and smooth. Lots of light carbonation across the tongue. Chris: Medium-bodied with abundant carbonation. Mathew: There was a large amount of carbonation leaving a bubbly feeling on the tongue, like champagne. Scott: As with everything else, light in flavor, but that’s not a bad thing. It has a very approachable quality to it. Unquestionably easy to drink. I could see myself putting back more than a couple of these. Chris: I was very happy with this beer. It had a clean, lightly sweet caramel taste with no hoppy bitterness. Mathew: It had a light beer taste with a hint of wheat but was not strong with any flavors. Scott: Nothing too much on the backend. Mathew mentioned that it had a bitter aftertaste, but I think that is only in comparison to the mild flavor of the beer to begin with. Held against any other beer it wouldn’t be considered as bitter. Chris: I didn’t pick up on much of an aftertaste. Mathew: At first it seemed to leave a sticky dry aftertaste but as I moved to my second one that went away and it have the taste and feel of a light lager. Scott: At $9.99 a six pack I won’t be rushing to drink a lot of these; however, if I find myself looking for something easy to drink, and this is part of my selection from which to choose, I would happily drink a few more. I’ll give it a 3.5 out of 5. Chris: Above I noted that it didn’t have much of an aftertaste. Beyond this being a clean-light beer it was so easy to drink and found myself going through one very quickly. I like trying new beers and this one was a good one. 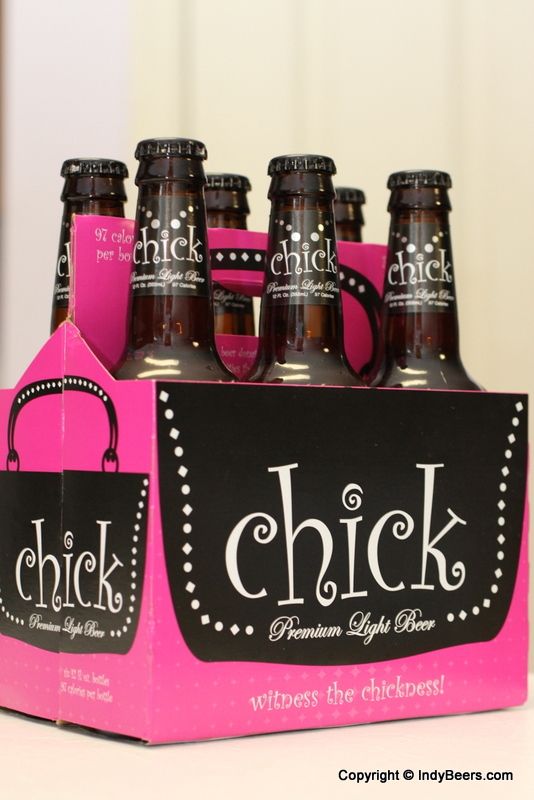 Its mild palate makes it and easy to drink. I’ll give it a 4 out of 5. Mathew: The beer was not bad, it was supposed to beer a mix of an ale and lager, I didn’t really get that as I am a big ale and lager fan. I think it more had the mix of a light beer with a hint of Champagne. I would drink again but would not order at a bar. I would rate it 3.5 out of 5 with a 2.5 out of 5 on the manufactures description. Alex had been out for a walk. He didn’t known how far he had come, but he had been walking for well over an hour, and he was getting thirsty. Being a stranger in this city, the streets were all beginning to look the same, so any street with any bar would do the trick. As he rounded what seemed an endless array of corners he saw what was about to become the start of a great night. The bar was on the corner with one of those vertical red neon bar signs calling the moths to the flame. Not being one to resist temptation, Alex headed for the door. As the door swung wide, it was quickly evident this was not your average bar. There were more tap handles then one could count at first glance, and the music…it pulled him into a trance almost instantly. The melody was a subtle background pleasure laying the tones for a time of euphoric relaxation. Walking towards the line of bar stools, Alex realized that the bar was mostly empty, which was to be expected in the middle of the day, in the middle of the week. He pulled up a bar stool, and began to soak in the environment. “Can I help you?”, came the voice a second time. It was then that Alex realized he had been staring at her drinking her beer. “Well, if it’s unique you’re looking for there are a few beers that will pique your interest”, she said before taking another sip of her own beer. “But you look like your really in search of something, so for you I’ll recommend the Firestone Anniversary Ale”. 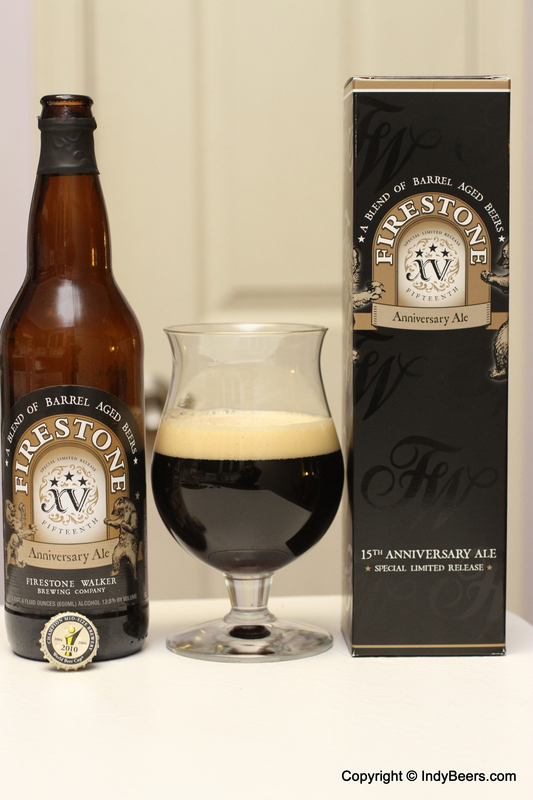 “Firestone Anniversary Ale? I can’t say I ever heard of that beer.” Alex murmured as he scanned the taps looking for the beer. The barkeep had been paying attention to the conversation from the end of the bar, and knew it was time for him to make his entrance. He walked about halfway down the bar and slid open door to the third cooler from end. From within he pulled out a large bottle of Firestone Anniversary Ale, popped the top, and slid it down the bar to Alex. “Would you like a glass with that”, he inquired. “Sure.” And the barkeep slid a tulip glass Alex’s way. Alex took a moment to study the bottle. It was 22 ounces (650 ml) with a lion on one side, and and bear on the other. It seems based on the markings this was a special limited release, the fifteenth in such a series. “Are you going to look at it all day or drink it?”, her voice said with a giggle, bringing him back from being lost in his study of the bottle. He tilted the glass and began the the process of transferring the dark brown fluid from one vessel to another. As the beer settled he noticed it had a nice thick head of a tan shade. Bringing the glass to his nose he found the bouquet to be a complex mix of coffee, caramel, and undertones of fruit or citrus. Asking about how a beer could have such a a variety of flavor, the bartender informed him it was a blend of 76% Barley Wine style beers, 19% Stout, and 5% Imperial IPA. Curious as to the process in the manner of his drink, she moved to the seat next to his. “That beer’s not going to drink itself, you know.” Finishing the statement with another pull from her own beer. Alex noticed the head was again sticking to her upper lip, this time, however, she rolled her lips inward with a slight sucking sound to remove the frothy nectar. Having filled his nose with the smell he took his first sip. It was pure delight. At first the beer felt light, too light for such a dark beer, but as the beer rolled across his tongue, the flavor become more and more heavy until his mouth was enveloped in the full, robust flavor. All the aromas he was smelling moments before were now pleasantly transferring from smell to taste. With each sip came more flavors that he had previously not found…chocolate covered cherries, cinnamon, honey, they were all there. “I was looking for a beer, but I found heaven instead.”, Alex said to her with a wink. She stood up, gave a nod to the barkeep, laid a hand upon his shoulder and said, “Next time we’ll have to enjoy this game a little longer, but I’ve got to run for now.” And with that she walked out the door. Alex was left with his beer and his thoughts, which was turning out to be not such a bad thing. Scott: Tons of head (a good 5 minutes passed before it went away). It took three attempts to to get all the beer into the glass. Great looking redish/brown hue. Chris: It has a brownish-red color which was clear as opposed to cloudy. The head was frothy with big bubbles and left a head coat along the glass as it was being consumed. Scott: No question there is a strong hop smell. As I leaned in to smell I could also hear the bubbles in the head talking like Snap, Crackle, and Pop. 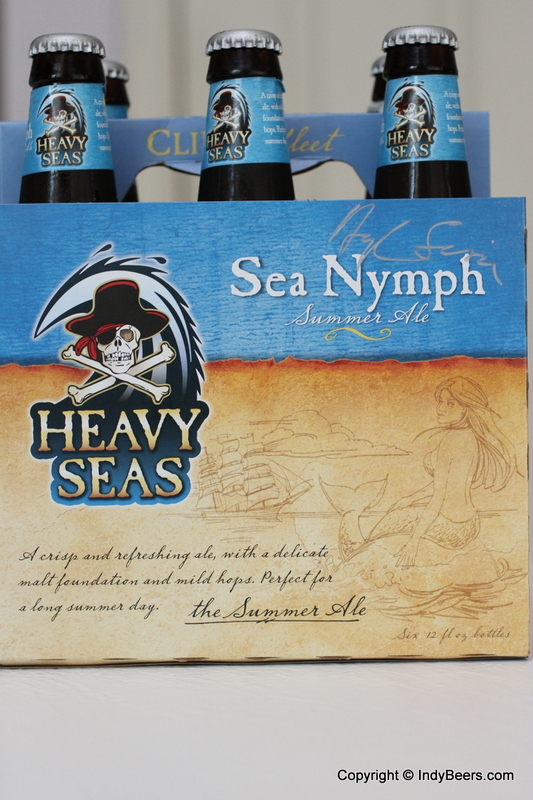 Chris: A strong malty aroma with subtle hints of nuts and hops linger in the background. Scott: Not a lot of carbonation, which is surprising seeing the amount head. There is a slight syrupy feel to it on the tongue. Chris: It felt just over what I feel is lightly carbonated and is tingly on the tongue. It has a cooling effect which stood out and I found interesting. Scott: Unmistakable flavor of hops, but not enough to be considered an IPA. The malty flavor that comes though is a nice undertone. Knowing that it’s also brewed with dates makes me wonder about my morning ritual tomorrow. Chris: At first taste the hops stood out but as I went on that quickly dissipated and the malty sweetness took over. Scott: I’m on the second beer as I write this, and it was a struggle not to throw these back more quickly. Like good home cookin’, these please in a post-Thanksgiving-manner of wanting a second and third helping. I’m not sure I could handle many any more as the 8.5% ABV is more than noticeable. Chris: I felt this was really tough to gauge since I really enjoyed the taste and probably drink/drank/drunk both too quickly to hone in on an aftertaste. It finished pretty much the same way it which is started. Scott: We didn’t properly place these precious pints 😉 in the fridge right away (they were off the self in the store). The first ones were a little warm, which may have have lead to the exaggerated head, and while we all agreed (Kelli had a sip of mine) that they should be colder, I found the slightly warmer temperature to be acceptable. The flavor overcame the lack of coldness. Our second beer was properly chilled, and more enjoyable than the first. I guess the lesson here is, if you can’t wait, go for it, it’s still good, but if you can wait, well…you’re a better (wo)man than I am. I think the past couple of reviews I forgot to give the beer a rating, so for this one I’ll give it a 4.5 out of 5. Chris: Packaged, in a small box of four cans, that looks like an old newspaper; I was somewhat skeptical. Pushing doubts aside, this was without a doubt, a great suggestion by the reddit community. 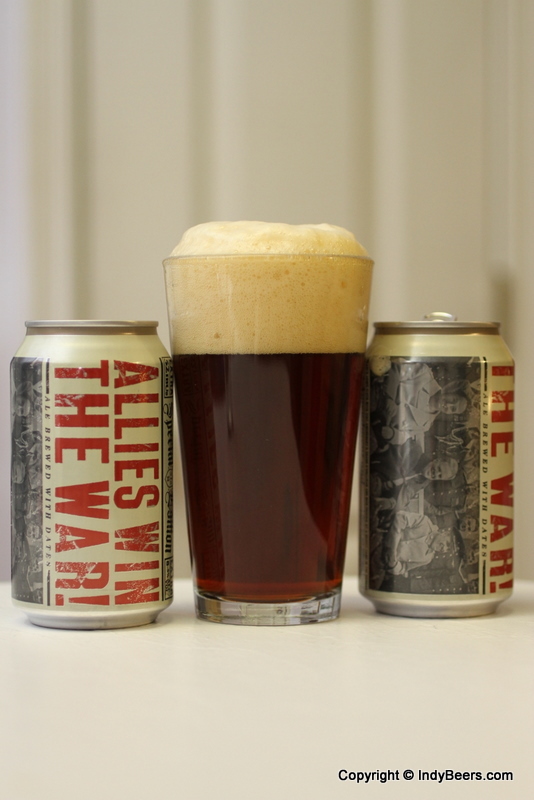 This beer is a excellent combination of hops and malts, and packs a surprising buzz factor within these cans. I would definately recommend it to others. 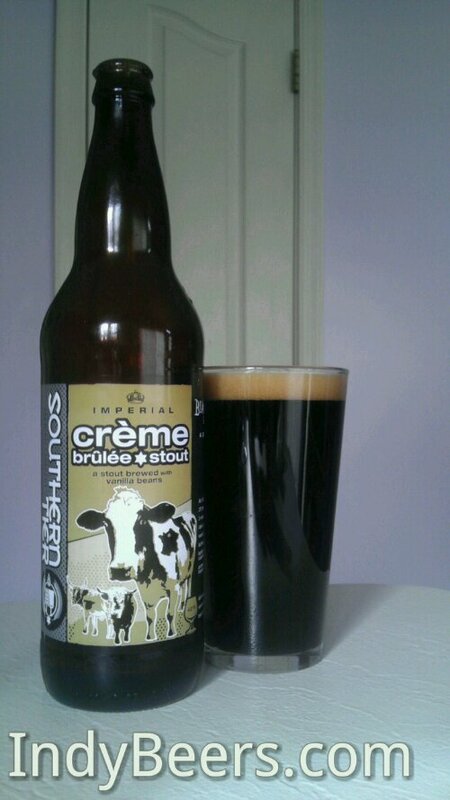 Today I am reviewing Southern Tier’s crème brûlée Imperial Milk Stout. We did our real beer float review a few weeks ago and several people suggested we use this beer. I couldn’t find any at the time, but last week I found a bottle of it at a great beer store, The Perfect Pour. They had so many great beers I felt like I had died and gone to heaven. I’m watching football while getting a few things done around the house, so Chris will not be with me and I’ll be going this one alone. Also, I was a little lazy and used my cell phone camera instead of my real camera for the pictures. Based out of Lakewood, New York they started operations in 2002 and have grown to produce over 30,000 barrels annually. They were listed as one of the top 50 American breweries in the June ’07 issue of BeerAdvocate magazine. The crème brûlée Imperial Milk Stout is listed as a Summer seasonal on their beer page, so I was happy to score one in mid-November. Scott: Very dark brown, almost black in color. The head lasted about a minute before dissipating. Scott: Unquestionable smell of crème brûlée. I’m looking forward to getting a taste of this one. Scott: Somewhere between a syrup and a creme with light carbonation. Scott: No mistaking this flavor. It is a liquid form of one of my favorite desserts. Scott: There is a slight bitterness. Scott: Very good, although not something I would have sought out. With plenty of other stouts from which to sample I don’t see this one coming back around too soon, which is fine as it is a seasonal beer. I still had some Hoffmans Ice Cream left from our real beer float review, and as this was one of the beers recommended by the reddit.com commentators, I decided to try this with Ice Cream, too. Scott: Well, head abounds. Like the others poured over ice cream, this beer wants to fill the glass with head. Scott: I need an old school batman POW or BAM image to describe how the smell crème brûlée is hitting me in the face. While the smell was there without the ice cream, the combination of the two has pushed the smell over the top. 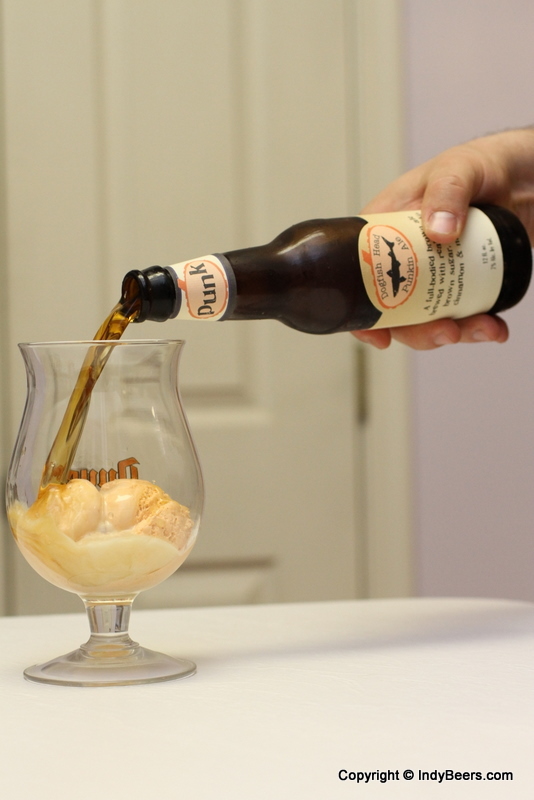 Scott: Similar to the other real beer floats, this one has that nice creamy feel, compliments of the coupled dessert. Scott: High quality palate pleasure. If you love crème brûlée, this is for you, but drinking this while eating crème brûlée may be overkill. If you can’t have crème brûlée, this is a cold, second cousin. Scott: Seeing I finished the whole thing in about a minute, aftertaste is all I have. Like any good dessert following a great meal, I feel well satiated with a pleasant “mmmmm” resonating though my mind. Scott: If you get the chance , give this a try. Ice cream and beer has been a new found pleasure for me, and this one is high on the list of those I think anyone new to the experience would enjoy.